Before your baby ever begins to speak, he shows the ability to recognize words and think about them in categories like we do. And he can even distinguish words from sounds, like beeps or buzzers. This recognition can turn into baby babble. For example, researchers at Northwestern University worked with 46 infants ages 2-4 months, and in what must have looked like a flash card festival, showed the babies various pictures of fish while either saying the word “toma” or sounding a series of beeps. Even the youngest babies saw straight through the nonsense. Not only did they not associate fish with the beeps, they were able to associate “toma” with any picture of a fish, showing early signs of categorization. Fish not only had a name, whatever looked like fish could belong to that name! It may take baby up to 2 years for you to hear your little one use words with their intended meaning but from 4 weeks on, your baby is ready to start parsing syllables and making sense of your sounds. Here’s a breakdown of what to expect when you begin to hear baby babble. What he’s doing… Listening, absorbing, learning the sounds of language. Practicing the sound and shapes of words he’s hearing. At 1 year you may get the reward for your hard work when he calls you “mama” or “dada” for the first time and means it! Working up from a 10-word to a 50-word vocabulary by the time he’s 2. When to be concerned… If you’re baby isn’t making his own little sounds, like “ah” or “oh” or if he shows no interest in you when you’re talking to him. He isn’t understanding simple instructions like “no-no” by 12 months or recognizing his own name when called. Babies begin to talk at all different ages but tell his pediatrician if he’s not babbling by at least age 1; still, he may be fine and just waiting to get closer to his 2nd birthday to express himself, as some babies do. 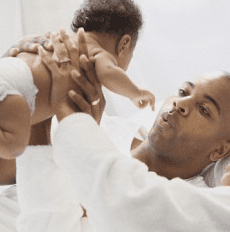 Deciphering baby talk: What is your baby saying?